5 star conversion of a classic eighties horror. 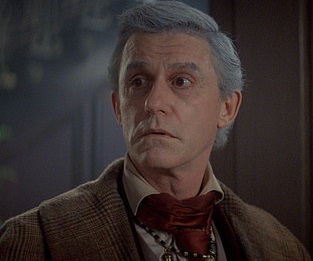 Fright Night was first unleashed on unsuspecting audiences in 1985 and was written and directed by Tom Holland (Tales From the Crypt, The Langoliers). 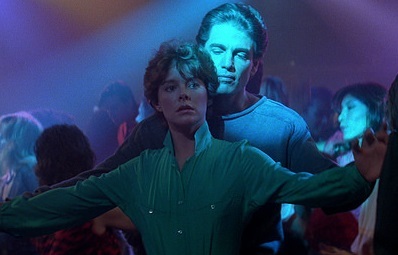 In an era when vampire films were becoming outdated and being replaced by slasher flicks, Fright Night took horror back to it’s roots with a traditional tale of children of the night. Charley Brewster (William Ragsdale – Herman’s Head, The Reaping) is not your average teenager. He loves to watch late night horror films, specifically those featured on the show Fright Night, presented by Peter Vincent (Roddy McDowall – Planet of the Apes, Overboard), a washed up actor who once starred in horror films himself. His tranquil existence is threatened one day when a new neighbour moves in next door. After arguing with his girlfriend Amy (Amanda Bearse – Married With Children) he goes to his bedroom window and spots two men carrying what appears to be a coffin into basement of the house next door. When he sees a woman enter the house and then hears about her murder the following day, he goes to the police, but of course they don’t believe him. 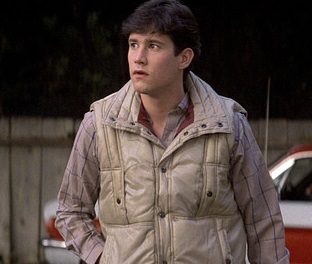 Convinced by now that his suave but creepy neighbour Jerry (Chris Sarandon – The Princess Bride, Child’s Play) is a vampire and his live-in friend Billy (Jonathan Stark – Project X) is in league with him, Charley turns to the only person he can think of, Peter Vincent. Unfortunately, he is just an actor and has no real interest in helping until Charley’s best friend Evil Ed (Stephen Geoffreys – Fraternity Vacation, 976-Evil) and Amy convince him to join them in the fight against the vampire threat. 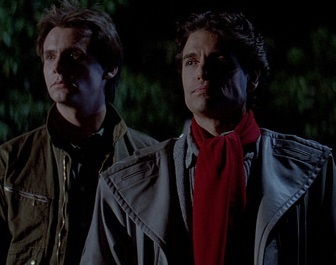 Fright Night is a great example of horror from this era, scary yet funny at the same time and who doesn’t love a vampire in smashing eighties pullovers. The makeup is excellent and the effects neatly highlight the many and varied ways in which a vampire can die. It’s well filmed and this conversion has brought it up to date brilliantly. With bundles of special features, this one is a must own for horror fans. Fright Night is available to buy now on Dual Format DVD and Blu-ray Steelbook.